Would you like to know how Bali island was 20 years ago? Just imagine a sedate and calm place with untouched wilderness, desert beaches and crystal water, a place with breathtaking views and kind, sincere people. You feel a desire to go there and become a part of this unexplored new world, right? You would say the time-machine hasn’t been invented yet. But you don’t need it. 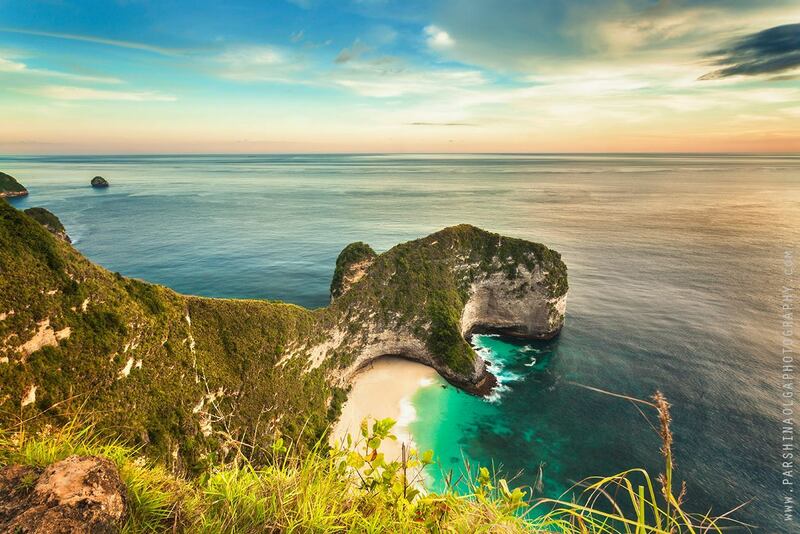 Just a mere 12 kilometers from Bali, like a warlock who stopped the sands of time, stands the secret island Nusa Penida. Hidden from the curious looks of civilisation it guards a primeval image of Bali and its own histories, myths and legends which only the most adventurous people can get to. Behind the walls of peace and calmness, in crystal ocean and white sand the island remains one dark secret: since ancient times Nusa Penida was the Black Magic island. According to legend this place was inhabited by demons and warlocks. One of them still fears all the citizens so much that they don’t dare to say his name aloud. Macaling, also known as Jero Gede Macaling was the powerful warlock, practicing black magic and spreading diseases and misfortune. Nusa Penida inhabitants say that originally Macaling lived in Bali, in the small village Batuan but he was exiled to Nusa Penida because of the black magic. The angry warlock decided to seek revenge and was consistently sending illnesses, epidemics and diseases to Balinese people. One day when Balinese people celebrated Nyepi (New Year) full of fun, joy and uproar, Macaling decided to fool the people and under the form of Barong (leader of the hosts of good) went to Bali followed by an army of demons. The demons destroyed everything while their master was simply waiting for his victory. Since then, the Balinese New Year is a Day of Silence, nobody is making noise or having fun. The next day terrified citizens went to a priest to find their salvation. There was only one way to vanquish Macaling - create another Barong, the only one who was able to withstand the powerful spirit. 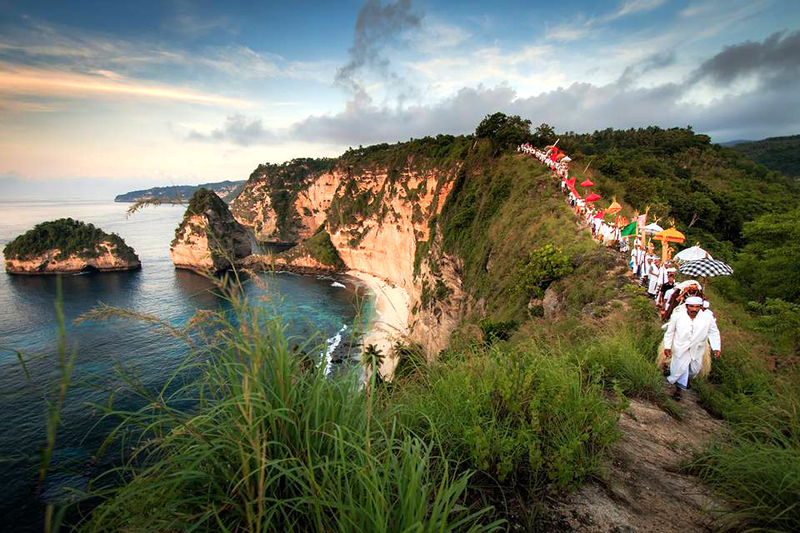 Barong defeated and Macaling with his army was chased back to Nusa Penida. But unfortunately it didn’t put and end to an epic battle. High priests of the neighboring Gelgel kingdom and the island of Bali came to Nusa Penida to cleanse the island from dark spirits and banish Macaling. 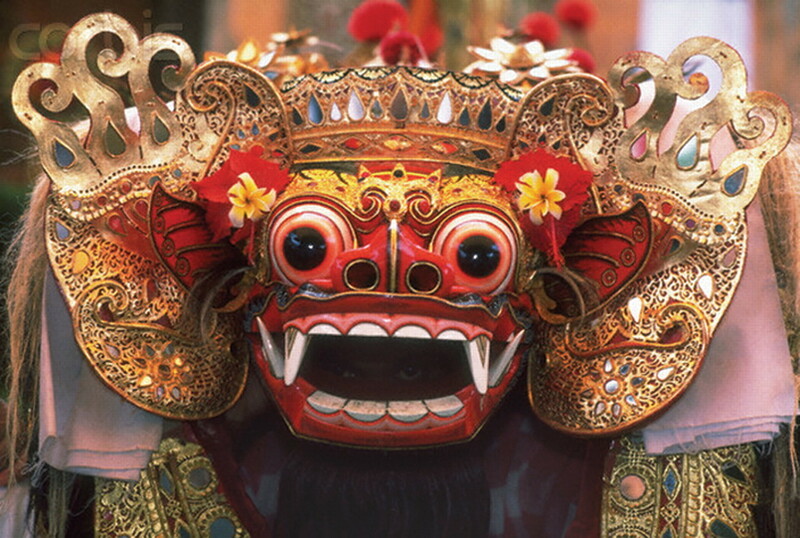 This supernatural battle of light and darkness gave the island its name Nusa Penida “The island of Priests”.Since then Barong masks have become the protection from evil spirits. The dreadful Macaling was defeated but nobody could completely subdue him. Part of him still lingers here within the illnesses and misfortunes of the people. Pura Ped temple keeps Macaling’s powerful spirit, it’s the source of power for those who practice black magic and a place of pilgrimage for those who are seeking protection from evil and disease. There exists a solemn rite that every Balinese Hindu should perform at least once during this life. They should make a pilgrimage to Pura Ped temple in Nusa Penida, whose energy supplies negative balance to the positive side of divinity. This thin invisible world is divided into dark and light sides. Demons and Gods keep this balance which brings a sense of calmness and harmony. You may begin to question why would one need to visit such a tranquil but also mysterious place? Don’t be too quick to pass judgement, it’s this mysterious island Nusa Penida which reflects the Balinese spiritual belief system. The Universe is the balance of light and darkness, one cannot exist without another. Nusa Penida inhabitants aspire to the light but they also respect darkness as an imprescriptible part of the world. When you first step on the Nusa Penida lands, you will realize that their curse became their blessing. Hearts of citizens are full of kindness, they protect those treasures given to them by nature and always offer their help to those who need it. Nusa Penida is an unofficial bird sanctuary. Bali Starling, Java Sparrow, Lesser Sulphur Crested Cockatoo and Mitchell’s Lorikeet all call this island home. 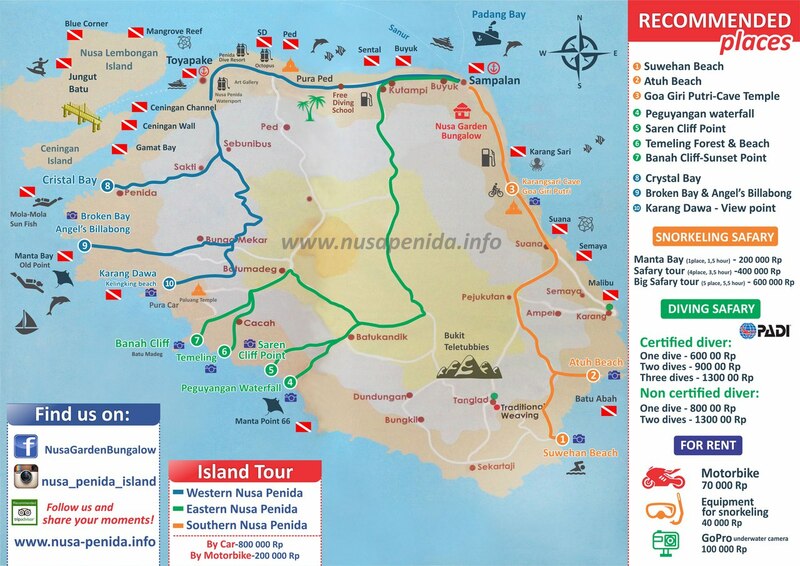 The crystal waters of Nusa Penida are a temptation for scuba divers and snorkeling lovers from all over the world. This underwater world of the island opens its doors to the kingdom of coral reefs and other ocean inhabitants. 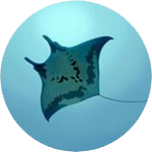 Divers usually meet Manta Rays, Whale Sharks and Mola-Mola fishes. Nusa Penida possesses both the untouched treasures of nature and ancient traditions which are still protected with care. Seemingly nobody can ruin the calmness of this world where the guard of the world and old culture are valued the most.